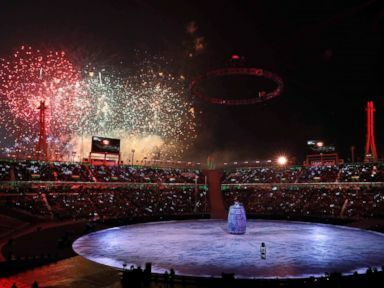 The 23rd Olympic Winter Games officially kicked off in Pyeongchang, South Korea, today, a glittery spectacle featuring a parade of participating nations. Spectators at the 35,000-seat temporary venue were provided with several items to fend off the region’s bitter cold and high winds, including a raincoat, a blanket and knitted hats, as well as hand, feet and seat warmers. They watched in awe as a total of 20,000 fireworks were set off during the opening ceremony, with some soaring nearly a mile high. The opening ceremony, titled “Peace in Motion,” emphasized peace by following the fairytale-like adventures of five imaginary children from Gangwon province with a cast of hundreds of other performers. The magical journey will be performed in parts throughout the ceremony. 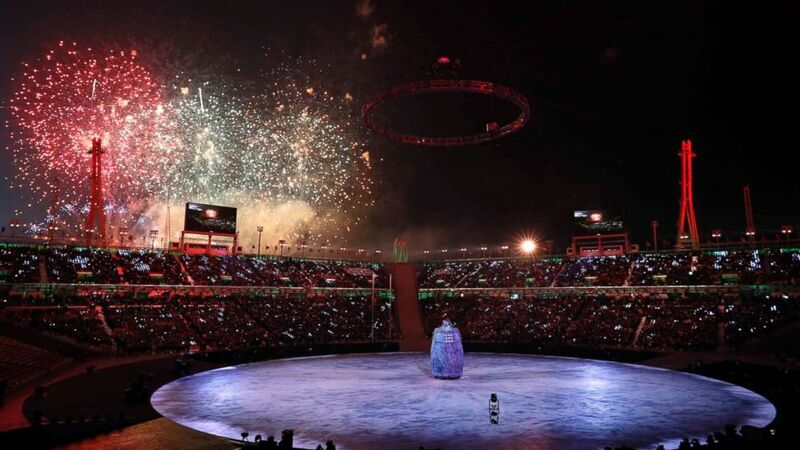 The athletes of the 2018 Winter Olympics then marched into the Pyeongchang Olympic Stadium. Erin Hamlin, the first U.S. athlete to win an Olympic medal in singles luge, was Team USA’s flag bearer at the opening ceremony. North and South Korea were last to enter the stadium. The teams marched together behind a “unification flag” carried by an athlete from each country, according to International Olympic Committee president Thomas Bach. 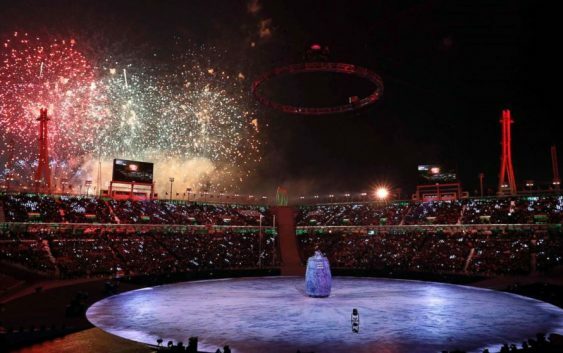 The Olympic Winter Games Pyeongchang 2018 Torch Relay will arrive at its final destination of the Pyeongchang Olympic Stadium during the opening ceremony Friday.